I had a chat with one of the founders and marketing director, Sphamandla Dlamini, “We stand for providing conveniences and solutions to some of the challenges faced by consumers in the retail landscape. Growth, development, and up-skilling are our strategies, we believe if our people are empowered then instilling a culture of excellent customer service will be easier”. The mission of the brand is to have a big presence as a South African retail brand and become leaders in this space, providing value to clients through excellent customer focused services. The store has no in-house brands, they exclusively import Italian menswear designer clothes with exclusive rights to distribute Deminology and Integral Denim in South Africa, they also have exclusive rights to sell Cavanna and Wessi products. They have a local brand which they sell in their stores, “Skinny Sbu Socks”. “We plan on collaborating with more local brands in the future that are inline with our growth strategy”. I asked Sphamandla what are the three items every gentleman should have in his closet. . .”A suit, definitely, plain white shirt and a good quality pair of jeans”. 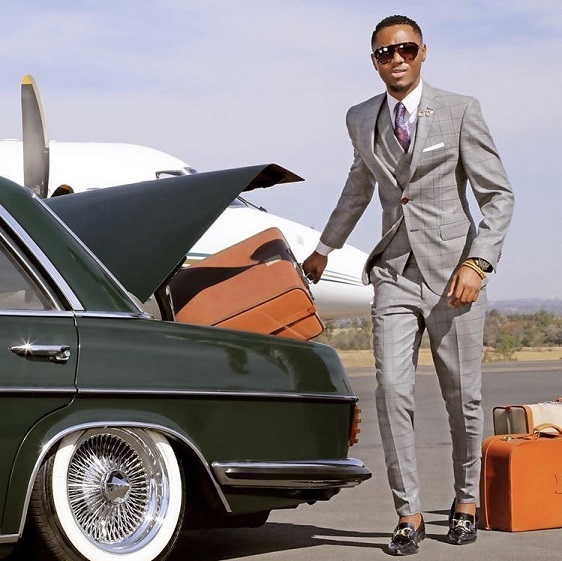 Still on gentlemen threads, the marketing director explains that a perfect suit is one that sits firmly on the body, no hanging shoulders, no lose pants and has to be properly pressed – a perfect tailored fit. “Simonis’s strength is the personal touch we have with our clients, we only stock from suppliers who have strict quality control processes. One offering is exclusive and unique which has been very vital in us achieving the level of growth and support we have managed to get from the South African market”. I got introduced to SIMONI by a friend who happens to be the manager of the store in Greens Valley Shopping Centre, Greenstone. I noticed a trend that the stores are placed in “upper-middle class” areas, when speaking to the marketing director about the importance of brand positioning, he alluded - “It is important as cash in a business, competition is high in these areas so we have to stand out from the crowd and here customers spend money on brands they can trust”. The marketing director explains that funding has always been a challenge like with many young start-ups in South Africa, he continued to say they relied on they’re own cash flow to support growth plans. According to the co-founder and marketing director, the future plans for the retail brand is to have a SIMONI store in every province in the country through a franchise model. He did not want to let us in on other new brands that are coming in the stores, he wanted to keep it on the down low, but said we will know soon. His last words are “Style is a Democracy”.